Mount Everest (8,848m), also known as "Sagarmatha," is the highest mountain in the world. 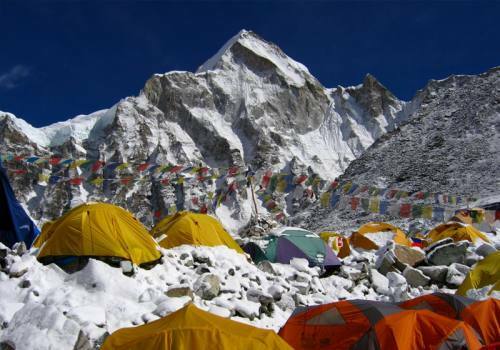 Everest is considered as the goddess mother of the whole world and has been a magnet for nature lovers and mountaineers. 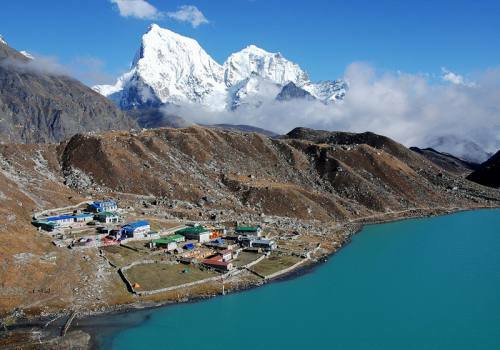 The Khumbu region is blessed with a fundamental elements of the Himalayan charm. It is a welcoming destination for these trekkers to enter a new world of exploration. 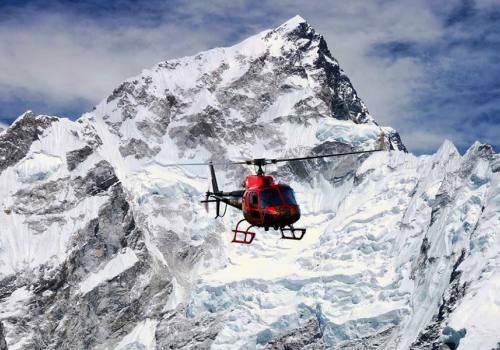 During the Everest Panorama, trekkers are inundated with unbelievable views of snow-capped peaks. From the high altitude you can view several paranorma views of the great Himalayas. You will be in constant awe, surrounded by several of the world's tallest mountains. 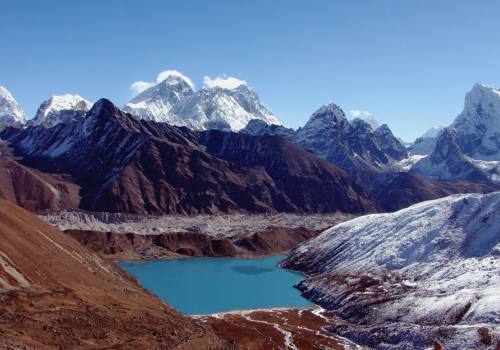 Everest Panorama Trek is a petite distinctive walk to the Everest in the midst of most worthwhile journeys. 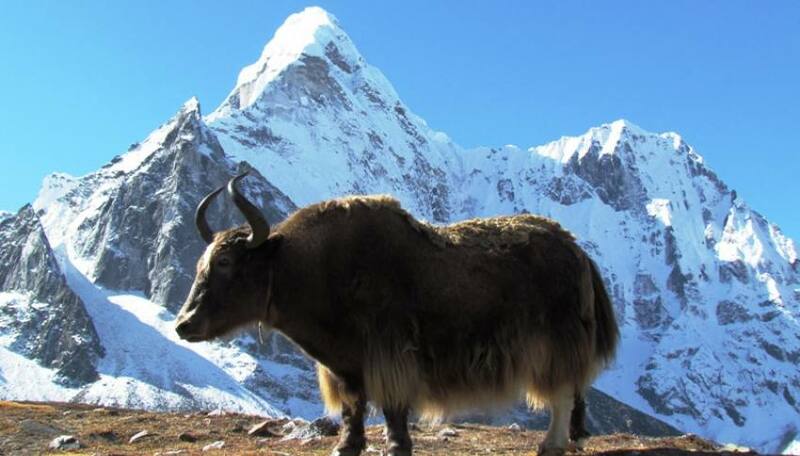 The Everest Panorama View Trekking grasps distinctive ethnicity, customs, life style of the local people, well-off biodiversity and grand mountains. The Everest Panorama View Trek is less strenuous and shorter than most other Everest region treks, but that does not mean it is any less scenic! It offers a superb view of the world’s highest peaks, including Everest, Lhotse, Thamserku, Ama Dablam and many other famous peaks. 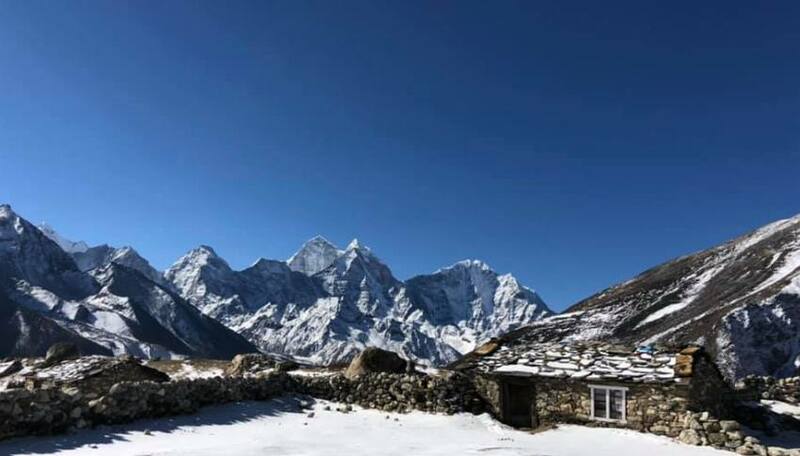 The Everest Panorama Trek provides a stunning combination of majestic mountains views and Sherpa culture in a place that has such historical value. It is especially perfect for those who wish to experience this region without ascending to high altitude. It is also great for those who have a time constraint. 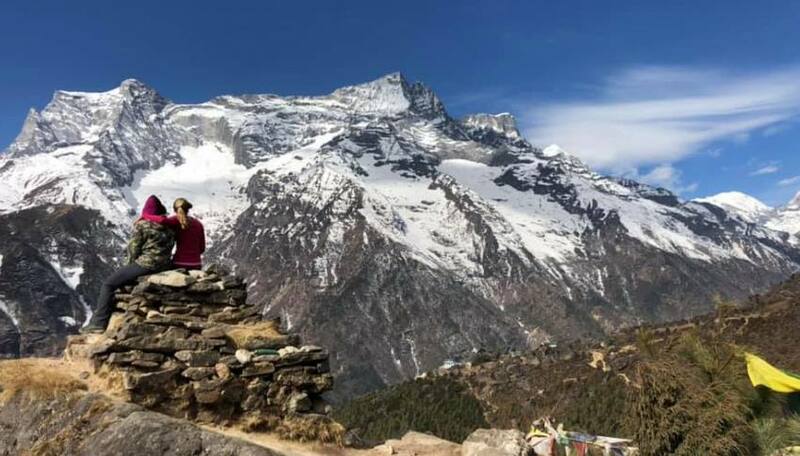 The highlights of Everest Panorma View Trek are its scenic flight to Lukla, plentiful flora & fauna, exploring Sherpa Museum in Namche, the panoramic views from Syangboche, including Mount Everest, Lhotse, Nuptse, Ama Dablam, Thamserku andmore. You can have a cup of tea world’s tallest hotel, the Everest View Hotel, plus several eloquent and peaceful Buddhist monasteries. The trekking duration is about 11 days and the trail grade is moderate. Most commonly, people use teahouses for their accommodation. The maximum altitude is 3950m and the minimum altitude is 2840m. 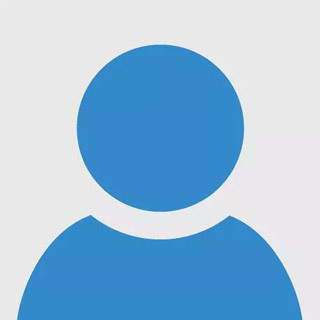 The maximum number of people we can bring in a group is 15. The best seasons are February to June and September to November, though July and August can be appropriate times for hiking as well. However, there is a higher chance for rainfall during this period. For the latest information or any queries, please contact us. Adventure Travels Duffle/Kit Bag (Keep yourself). Day 01Arrival in Tribhuvan International Airport, Kathmandu (1320m) Our representative will meet you at the Tribhuwan International Airport, Kathmandu and you will be transferred by private coach to the hotel. At the hotel we will discuss necessary equipment, trekking permit, and other details for the trek. Overnight stay at a hotel. Day 02Flight to Lukla (2652m). Trek to Phakding (2652m) After a 40 minute scenic flight from Kathmandu to Lukla, you will trek to Phakding. Everest Base Camp trip begins at Lukla and follow Phakding, which takes approximately 3 – 4 hours. Along the way you can have a view of Mt Nupla (5885m) and Kusum Kangaru (6367m). Overnight in Phakding (2652 m). Day 03Trek to Namche Trek (3440 m) 5-6 hrs Starting from a slight rise to Jorsalle, the trail passes waterfalls and other cultural and natural attractions. During the day, you will be passing through the Sherpa villages viewing magnificent forests. Rhododendron trees, magnolias and giant firs provide a stunning backdrop to this part of the walk. En route you will be rewarded with their first glimpse of Kusum Kangru (6369m) Thamserku (6608m) Everest (8,848 m) and Nuptse (7879 m). 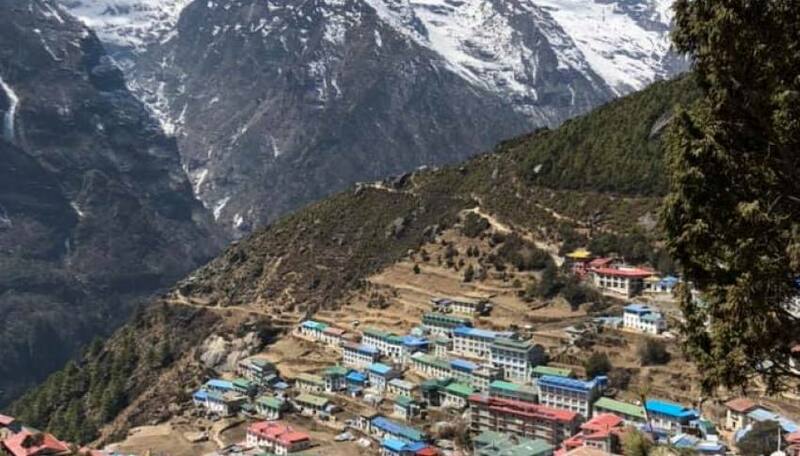 (Weather permitting) a steep climb up the beautiful village of Namche Bazaar (3440m) which will produce more spectacular views and a comfortable place to spend the second night of the trek. Overnight stay at a guesthouse. Day 04Acclimatization day in Namche Bazaar (3440 m) Acclimatization is important before proceeding to a higher elevation. 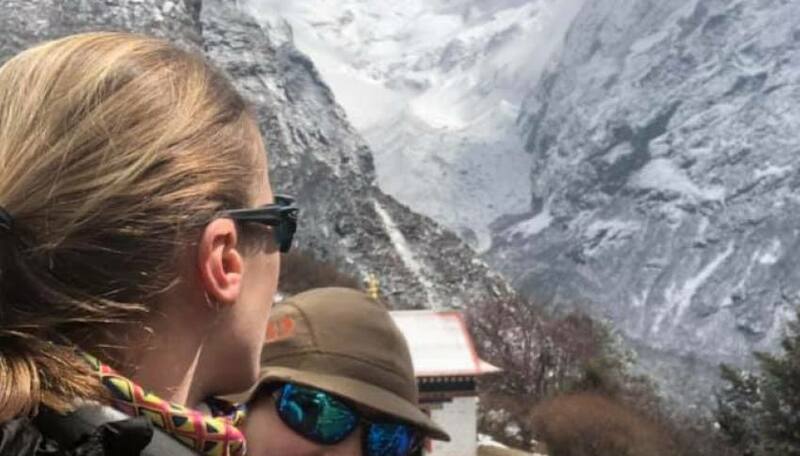 It is therefore recommended that to take a short day's hike to Thame, Khunde, Khumjung or up to the Everest View Hotel so that we can see a clear view of Mount Everest. You can even relax and explore the culture of Sherpa in Namche. Overnight stay at a guesthouse. Day 05Trek to Thame (3800 m) 5 to 5 ½ hrs After taking breakfast, we will hike to the Bhote Koshi Valley, which has been one of the popular trade routes to Tibet. The hike is charming with all the prayer flags, mani stones and chhortens along the way to Thame. You will have incredible views of the numerous pristine peaks as you trek. You can sense the presence of the Tibetan border. Overnight stay at a guesthouse. Day 06Trek to Khumjung (3780 m) 5 hrs After breakfast you will make your way through the valley of the Bhote Kosi following a quiet road to Khumjung, which is the largest settlement of Khumbu valley. Khumjung is the largest village of Sherpa settlement so this is a perfect opportunity to see their lifestyle and cultural activities. The village is has a high school which was funded by the Sir Edmund Hillary and a monastery where they have preserved a famous Yeti skull. Overnight stay at a guesthouse. Day 07Trip to Tengboche (3867m) After about an hour of following the easy path with constant views of the Himalayas, we reach the lodges of Sanasa where we can have a tea break. Then, descend to the Dudh Kosi River, stopping at Phunki to have lunch. From here, we have to take a long climb with many switchbacks that lead to the famous Tengboche Gompa, the largest in the Khumbu region. Tengboche provides the spectacular views of Kwongde (6187m), Tawache (6542 m), Everest (8,848 m), Nuptse (7855m), Lhotse (8618m), Amadablam (6856m) and Thamserku (6608m). Overnight at guesthouse. Day 08Explore Tengboche, return to Monjo (2850m) 6 - 7 hrs After visiting the monastery of Tengboche, in the morning, you will start the long descent to Monjo. Here, the trail climbs up from Sanasa tea shops and villages. From Sanasa we will enjoy the great views of the high Himalayas. After an hour’s easy hike, you will reach Namche Bazaar for lunch and after that you will take the steep decline way back to Dudh Koshi River before reaching the village Monjo. Overnight stay at a guesthouse. Day 09Back to Lukla (2652m) 4-5 hrs Today is an easy and beautiful walk through the forest of magnolias, giant fir, blue pine and rhododendron forests with the views of Kusum Kangaru, and the Kwangde range. 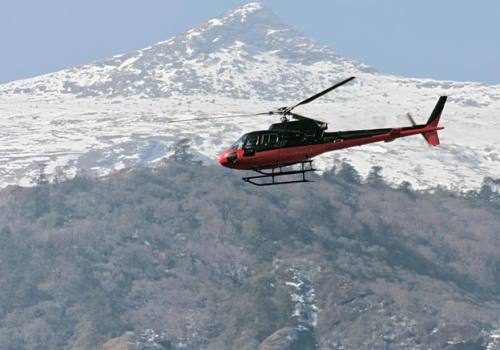 After taking lunch in Lukla, it is advisable to arrive early as you have to confirm the tickets for the flight and can take explore the remaining sights. You can explore the city by visiting the local "School of Thangka Painting" and see the beautiful religious paintings. This is the last night so we'll enjoy a farewell dinner together. Overnight stay at a guesthouse. Day 10Flight to Kathmandu Today, we head back to Kathmandu from Lukla. It’s all up to you whether you want to stay one more day or willing to return your own hometown. If you want to depart from on this day then you will be transferred into Tribhuvan International Airport, Kathmandu. Day 11Departure from NepalWe will transport you to the airport. Thanks for trekking with Adventure Himalayan Travels. We look forward to seeing you again! “The trek was definitely an amazing experience I will never forget!! Especially the view from thame was one of my highlights. In general I found the area around the many mountain very beautiful ! Also the see the Mt, Everest nice to view and the spirit there is quite impressive. Our Guide and porter were amazing! They were professional, knowledgeable and entertaining too. The lodges and food on this trekking were wonderful too, definitely exceeded my expectations. All in all the trek offers a lot of different landscapes and breathtaking views.Thank Adventure Himalayan Travels and Treks proved us good guide and porter”.